The allure of cosmetic rejuvenation with plastic surgery is no longer constrained by age. Older patients show as much interest in cosmetic procedures as do the rest of the population. And while this previously may have caused surgeons to be hesitant due to the risks involved with surgery, attitudes, and lifestyles, have shifted. Older patients, so long as they’re healthy, have every right to any procedure they deem ideal. 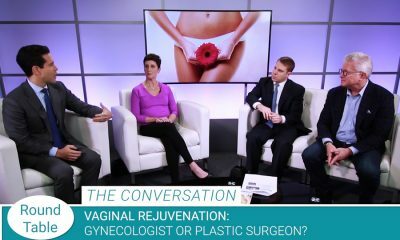 Board certified plastic surgeons discuss this trend and how older patients are guided in the plastic surgery process. Dr. Cooper speaks to a broader trend in modern life, one centered on health through diet, exercise, and better living. This trend doesn’t stop when someone becomes “old.” In fact, many in the older generations are embracing this lifestyle fully, meaning that they are feeling much younger than their exteriors may otherwise show. For these reasons, older patients are aplenty in plastic surgery. Considering that this older generation is more or less healthier than previous older generations, their resistance to the risks of surgery is greater. This allows surgical procedures to take place safely and effectively in patients in their 60s, 70s, and sometimes even 80s. Perhaps in no other period in human history has health and exercise been this important. With a backbone of empirical evidence and research, the tactics employed to obtain the best nutrition, as well as participate in increasingly science-based exercise, have never been better, nor more available. Patients who work hard with their nutrition and exercise lead longer, healthier lives, even if their exteriors may not always show it off. It’s a rather simple concept that has leapfrogged the prior importance of age. When before age may have represented a good guess at health, the modern, health-conscious lifestyle is upending that metric. There are men and women in their 60s who maybe be in better shape than someone in their 40s! Why can’t they, too, have the same cosmetic procedures to look how they feel inside? This kind of experience can be seen across numerous plastic surgery practices. Older patients, healthier than the generation that preceded them, are curious about cosmetic procedures and wanting to look a bit more youthful, even at an older age. Again, so long as they’re healthy, and find and trust a board certified, experienced plastic surgeon, the sky is the limit.